Week in Wrestling looks at Road Block’s effect on Dean Ambrose’s rise through the WWE ranks, Matt Riddle’s abrupt departure from UFC and success in indie wrestling and the weekly wrestling power rankings. Road Block’s main event saw the hottest face in the company lose cleanly to WWE’s 46-year-old world champion. And we continue to wonder why there is a void of new stars. Somewhere between Milwaukee and Chicago, CM Punk understands. He knows the feeling, having performed the favors for Triple H, despite all sense and logic. Punk was the hottest act in the company in September of 2011 right up until he was forced to unnecessarily job to Triple H. The loss threw a wet blanket over Punk’s growing popularity, temporarily halting a hot streak that began the prior June with his infamous pipe bomb. I am not advocating that Ambrose should have won the title, but the clean defeat was an unnecessary blow to his momentum. WWE’s creative department is staying the course (for now) with the plan for Roman Reigns and Triple H at WrestleMania. But why not have Triple H heel his way into a victory? Road Block was nothing more than a brief traffic jam. After two weeks of hype, the card failed to advance storylines beyond their current position. The Shane McMahon-Undertaker storyline has all sorts of gaps in logic. Why would the Undertaker, at this point in his career, feel obligated to do the bidding of Vince McMahon? How does Shane McMahon pose a threat in any way, shape or form to the Undertaker? The is clearly Plan B after John Cena’s injury, and a match between Shane and Triple H–with a triple threat between Ambrose, Reigns, and Brock Lesnar–would have made more sense. With all that being said…I can’t wait to watch the match at WrestleMania. Shane must have something good in store to risk his legacy for one more match, and I am beginning to wonder if the Vince and Shane will join up on the Undertaker…after all, Vince continues to repeat that he will be destroying his “greatest creation” at WrestleMania. • How is Jacqueline Moore a Hall of Famer? She hasn’t produced a single memorable match or noteworthy feud. She now passes Rikishi as the least deserving member of the HOF. • Memories of Joey Styles screaming, “Oh my God!” popped into my head when the former ECW play-by-play man announced on Twitter that AJ Styles and Kevin Owens will face off tomorrow on Smackdown. Even though the match won’t end with a clean finish, that is the most highly anticipated match thus far in Mauro Ranallo’s run with the WWE. • Best wishes to Neville for a speedy recovering after severely injuring his ankle during his match with Chris Jericho on Raw. • Transitioning from real injuries to the worked variety, I really enjoyed seeing Bobby Lashley unleash his inner beast on Josh Mathews and “The Pope” D’Angelo Dinero. But why would Mathews ever be allowed to return to the broadcast booth after such an alleged beating? Unlike Brock Lesnar’s beatdown of the announce crew this past summer, which forced the broadcast team to be out of action from the remainder of the evening, Mathews recovered from the attack almost instantaneously, severely hurting the segment. • TNA crowned a new champion last night, as Drew Galloway cashed in his briefcase (sound familiar?) to defeat Matt Hardy. Galloway was never the right fit in WWE, but his wrestling ability has allowed him to shine in TNA. • The New Japan Cup featured an upset. Instead of Michael Elgin or Hirooki Goto, I was surprised to see Tetsuya Naito emerge as the winner. Naito also challenged Kazuchika Okada for the IWGP title, as Naito will serve as Okada’s next feud. • Jim Ross is as good as ever on AXS TV. This past week included matches between Kenny Omega and Alex Shelley, as well as a six-man tag bout between the Doc Gallows, Amber Gallows and Karl Anderson vs. The Kingdom. The matches were from this past May, and the six-man tag featured six wrestlers who all are no longer with NJPW. • KUSHIDA defeated Ring of Honor’s ACH this past Saturday in the old ECW Arena. The two daredevils put on the match of the night before ghosts of ECW past. Both would add a lot of life to WWE’s United States championship division, which is by far the weakest title on the card. • The League of Nations represents one of the dullest, driest opponents for the New Day at ‘Mania. I would have much preferred to see the Wyatt Family challenging the power of positivity. Ambrose rebounded with a strong Monday night, including a compelling segment with Mick Foley. I’m not sure if this is someone’s idea of a joke, but the Miz ruining a Kevin Owens segment just hurts on so many levels. The background of the Owens-Zayn feud was detailed in extremely compelling fashion last Thursday on Smackdown, and Miz would be a much better fit in the third annual Andre the Giant Memorial Battle Royal than in muddying up the match for the Intercontinental title. The “Beast Incarnate” defeated Bray Wyatt and Luke Harper at Road Block in a feud that is likely to resume post-Mania. Styles is going to need some surprise mic time to continue to build his match with Chris Jericho. Omega was a late scratch to the ROH card this Saturday, but all of my reports regarding the IWGP Intercontinental cleared–The Cleaner is as healthy as ever. The “Greatest First Generation Wrestler” defeated Matt Sydal this past weekend at the old ECW Arena in Philadelphia. Reigns returned on Raw to attack Triple H, but he did not receive a hero’s welcome. Still hard to believe that this is the man scheduled to win the title at WrestleMania. “The Rainmaker” found a new dance partner in Tetsuya Naito. Matt Jackson took the fall this past Saturday in Philly in a four-way tag match with the reunited Motor City Machine Guns and eventual winners The Addiction, but it’s only a matter of time before the Jacksons are wearing ROH gold. The Bucks will be featured on SI.com next Tuesday. The Game successfully defended his heavyweight championship against Dolph Ziggler on Raw, marking his first fight on Monday night in over three years. Mark and Jay Briscoe have worn the Ring of Honor tag team championship belts on eight different occasions, and the two chicken farmers from Sandy Fork, Delaware are eager to start their ninth run as champs. Wrestling is overflowing with colorful characters and personalities, but there is absolutely no one quite like Jay and Mark Briscoe in the business. 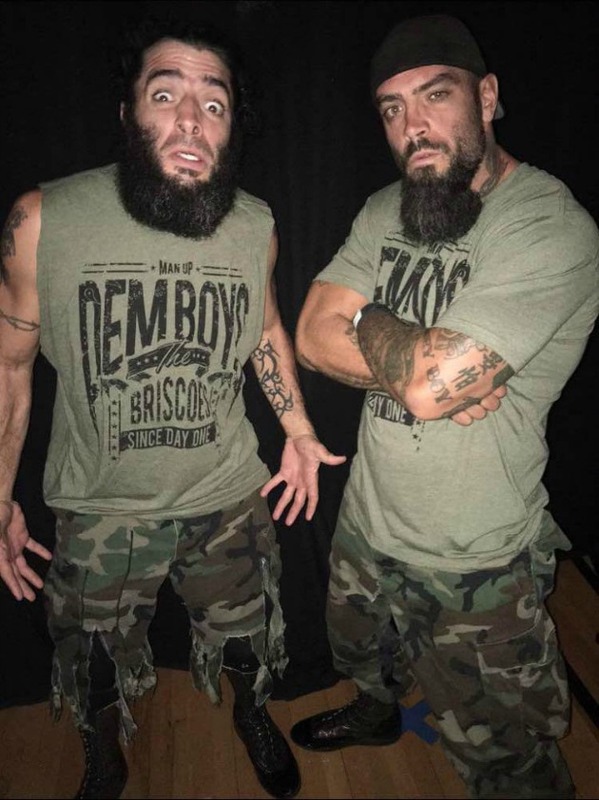 The 32-year-old Jay, who is a year older than Mark, articulated on the evolution of the Briscoe Brothers, which saw the pair return to natural personalities. Reality intertwines with fiction all the time in pro wrestling, and the Briscoe Brothers legitimately grew up on a chicken farm. As one can only imagine, there are plenty of noteworthy stories from their time together as children on the chicken farm. Jay took the cue and continued his brother’s story. Their mother finally found Mark, and it is true–he was perfectly content in his new home. The two brothers have considerable size–Jay is 6’1”, and Mark is 6’0”–have the look of WWE superstars. But it was a more extreme promotion that first caught their attention. The Briscoes have fought Sabu over the years, but have yet to lock up with Rob Van Dam. Although the brothers have the look and are tremendous in the ring, it is questionable whether their edgy style would fit within the WWE’s corporate environment. ​“I think times are changing there,” said Jay. “I look at what Kevin [Owens] is doing now, and he’s still doing him. He is great, and it looks like they’re going to let AJ be AJ for the most part. The Briscoes have a younger sister, who, fittingly, is a nurse. The two brothers are no strangers to fighting one another, and could have used a her services during their recent trip to Japan in February. Mark Briscoe knows Jay Briscoe very well, and he knows when his brother is going to explode. The culprit behind the altercation was none other than Ring of Honor’s Cheeseburger. The Briscoes have enjoyed successful runs as singles competitors but while tagging, and they are happy to be team players. “We’ll do whatever the company needs,” confirmed Jay. “When they came at me with the world title, I said, ‘Let’s go for it.’ Whatever the company needs–they take care of us, so we take care of them. Mark concurred with his brother’s assessment. Former UFC star Matt Riddle made the jump from mixed martial artist to pro wrestler, and enjoyed an eventful year in 2015. He tried out for WWE, and wrestled across the indies. Riddle’s biggest opportunity yet comes this Saturday at Evolve 56 with a title match against Evolve champion Timothy Thatcher in Queens, New York. SI.com: Why were you fired from UFC while you were on a four-fight winning streak? Was Dana White’s decision personal? Matt Riddle: It was extremely personal. I’m the only fighter ever fired for marijuana. Everyone else gets suspended or a penalty. They just fired me because I was so vocal against testosterone replacement therapy [Author’s note: TRT is a class of hormone replacement therapy]. People knew I used marijuana, and I was always honest about it. [UFC parent company] Zuffa’s attorney, Michael Mersch, called me and told me not to talk about it. At the time, UFC was trying to keep guys around like Chuck Liddell and Wanderlei Silva, and they couldn’t stick around unless they used testosterone. I didn’t need that. I was 27 years old and in a four-fight win streak, so even though I’m ranked top ten in the world, their decision kept me in the shadows. Other guys have been suspended for failing drug tests, but they fired me, and that’s why. But things have changed since–now they’ve banned TRT. I didn’t fail a commission drug test, I failed a UFC-ran drug test. I still think it’s a fishy thing, and it had to do a lot to do with how vocal I was about TRT. When I was fired in 2012, TRT was allowed but medical marijuana was not. Dana White and the UFC allowed testosterone replacement therapy, along with Adderall, OxyContin and other drugs as long as you had a doctor’s note. You were allowed to use prescribed medications before competition. I was prescribed medical marijuana, which was considered a performance-enhancing drug. Unlike marijuana, the other drugs were all allowed with a doctor’s note. I was in the middle of the big battle between marijuana and pharmaceutical companies. The UFC had just brought on Bud Light as a major sponsor, so they were outspoken against marijuana. You could use steroids and not marijuana, and my big beef was against the testosterone. SI.com: The life of an independent wrestler is nonstop. Instead of potentially one fight every six months, you now often wrestle three times in one weekend. How have you adjusted from a UFC fighter to pro wrestler? Matt Riddle: There is so much respect built into this business. Coming from MMA, I was used to traveling and competing. MMA is more focused on beating each other up and then shaking hands after. Every time you step into a locker room in a different town in wrestling, you shake everyone’s hand. There is a big difference. You can work every weekend and sometimes four times a week in wrestling, but in MMA, you might, if you’re lucky, only get three fights a year. That’s a big difference as a performer. SI.com: You tried out for WWE in 2015. What did you learn from the experience? 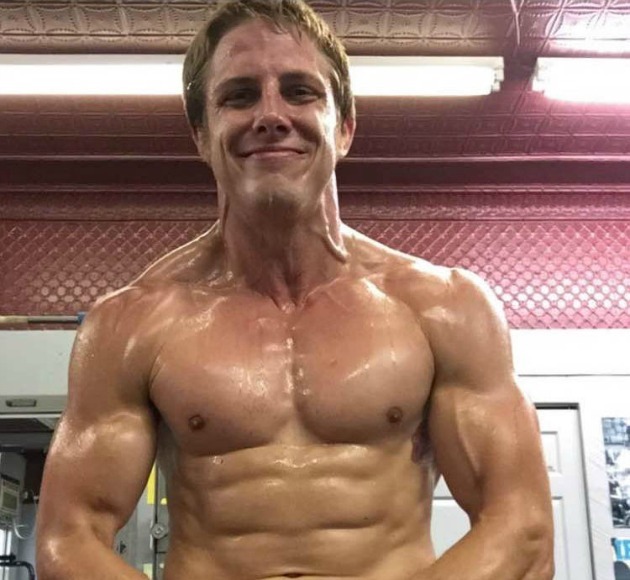 Matt Riddle: I learned a lot from my tryout with WWE. In MMA, you need to be ready to fight, but there is a lot of wiggle room to a good match in wrestling. I’ve learned that you need to adapt to other wrestlers. You may be wrestling a guy with a technique that you hate, but the crowd likes it, so you need to find a way to make that work. When I tried out with WWE, I learned that you need to work the way they like. They like things the WWE likes, but it’s a lot freer on the indies. SI.com: You were a success in the UFC, and even won your last four fights. Was it humbling for you to transition from the Octagon to independent wrestling? Matt Riddle: The indies are the place to perfect your craft. There is nothing else like it. I really wish there was something similar to it in MMA, but it would be impossible with all of the injuries. It’s hard to practice in pro wrestling without the crowd. The only way you can get better in pro wrestling is listening to the crowd. I’m myself when I’m out there, but you need to turn up your volume to a hundred. This is such a great chance to express myself. When I fought and got punched in the face, I had to hide my pain even if it really hurt. Wrestling is all about selling. Honestly, it’s just a lot of fun. SI.com: Is your goal to wrestle with the WWE in 2016? Matt Riddle: I want to wrestle for every major independent company. I’ve wrestled for Evolve and Beyond, but my goal is to wrestle more independent shows with Pro Wrestling Guerrilla, AAW, and Hollywood Championship Wrestling. I want to get on every big independent show in the country. Hirooki Goto has been a steady force for New Japan Pro Wrestling over the past thirteen years, but never great enough to become IWGP champion. He has received eight title shots throughout his career, but was unsuccessful in every one of his tries. As of this past weekend, Goto and Okada have now teamed up in Okada’s stable, Chaos. Although the world title has eluded him, Goto has still pieced together an extremely successful career in NJPW. He’s captured the New Japan Cup on three separate occasions, as well as wore the IWGP Intercontinental championship twice. He credits a great deal of his early development to MMA fighter and New Japan color commentator Josh Barnett. 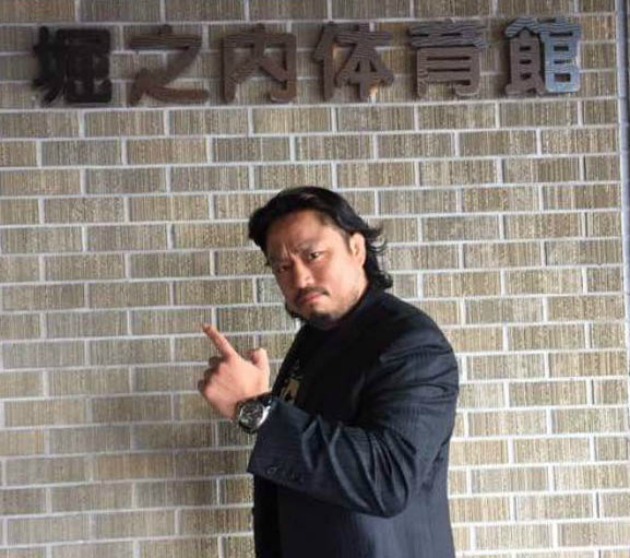 Goto and Shinsuke Nakamura are childhood friends, and actually entered the business together. Goto defeated Dalton Castle at Ring of Honor’s 14th Anniversary pay-per-view, and noted that he is enjoying working with the Ring of Honor talent. “Movement and technique are very important, but nothing is more important than the fighting spirit,” said Goto. “That’s what shows the emotion behind each move. My only goal is to get better at that each day. The more insight I have into the psychology, the better I can be through emotion. “Mat Mania” debuts a new track this week featuring Triple H.
This is arguably Mega Ran’s best track yet, capturing the rise and dominance of Paul Levesque. ​As a musician, Mega Ran agreed that it is far easier to write lyrics when an artist is so intertwined with the subject. After watching Triple H for over twenty years, this song was a joy for him to write and craft. “As a history buff, I wanted to make sure I covered the major parts of the HHH story from the beginning to current times,” said Mega Ran. “He’s undergone so many changes, and is still the man, not a lot of guys can say that. It’s definitely easier when you have such a huge pallet to work with. If you are impressed with the work of Jade every week on TNA’s Impact Wrestling, she is successful for one simple reason. She put the work in. She grew up infatuated with wrestling, and unlike her family and friends, never grew out of that phase. She remains in love with the business. She still wrestles for all-female independent groups like Shimmer and Shine, and is honored to use her Korean heritage in her character. Jade credits Sara Del Ray, who is now one of the lead trainers at WWE’s Performance Center, as one of her strongest influences. Jade worked as an enhancement talent for NXT in October of 2014, losing to current Diva’s champion Charlotte Flair. Jade’s sights are now narrowly set on TNA Knockouts champion Gail Kim. Since Awesome Kong’s sudden dismissal from TNA, Jade has taken on the unofficial role of leader of the Doll House with Rebel and Marti Bell. She has also wrestled in her first Lethal Lockdown match. Jade continues to work full-time, as she captures for the deaf and hard of hearing. She is thankful for all of her success, but even more grateful for the support. A sobering image and message from Regal, who served as one of Daniel Bryan’s greatest influences in the business. The physical and mental toll that wrestling takes on the wrestlers is the single most misunderstood aspect of this business.